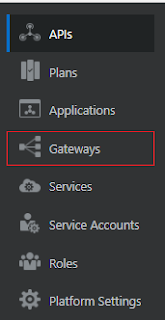 To deploy the service on Oracle API CS instance, Oracle API physical gateway must be installed and should be registered with Oracle API Logical Gateway. 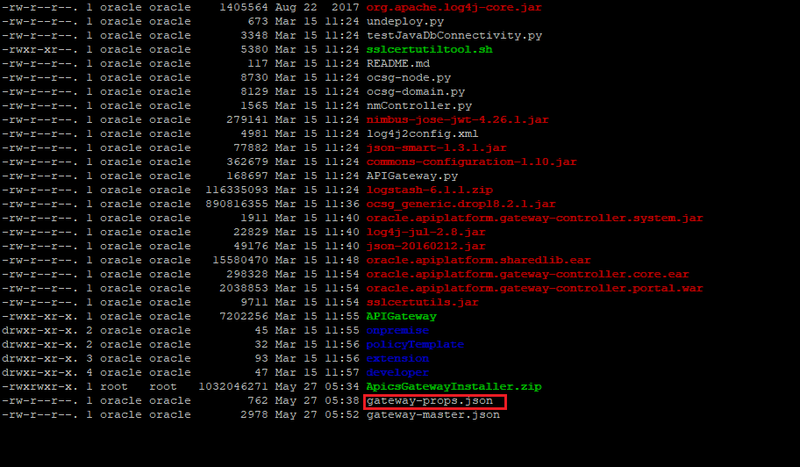 In this post, we'll cover the step by step process which will help to install Oracle API physical gateway. Oracle Linux and Red Hat Enterprise Linux 7.2, 6.7, and 6.4. A Logical Gateway comprises multiple physical gateways registered with it. Once logical gateway created, physical gateway installer can be downloaded. To Create the Logical Gateway, we should have API CS instance provisioned. The blog shows, how to provision API CS instance. Below are the steps to create Logical Gateway in API CS. 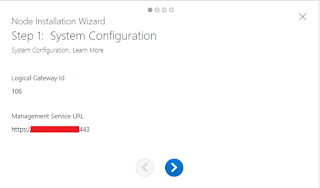 Download the Physical Gateway installer by clicking the Download Gateway Installer button. 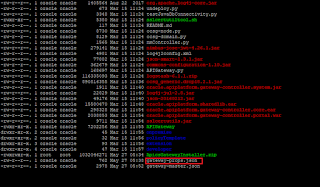 It will download zip file “ApicsGatewayInstaller.zip” file. Create the gateway configuration file which will be used while installing the physical gateway. Click on the Open Installation Wizard button to create the configuration file. Port 8011 & 9022 port should be added to security list so that the API CS service can be accessed from public network too. Without the ports opened, API CS service would not be accessible from the open network. NOTE: It is not recommended to make gateway ports accessible on the public Internet. In a real implementation, we should always route the request to API gateway through the load balancer. 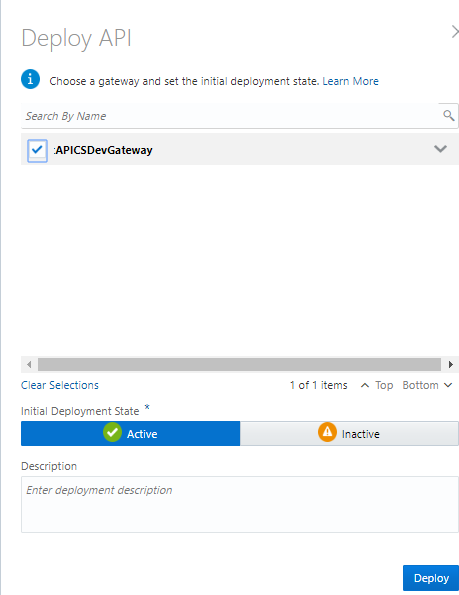 To make this blog shorter, we wrote another blog which will show how to configure backend service in API CS and deploy on the physical gateway. Oracle API Platform Cloud Service offers an easy way to manage, secure, and publish services for application developers. It facilitates the creation of APIs that expose the functionality of organization's back-end systems or other services. In this article, we'll show how to create an API using existing backend service. We must have backend REST API endpoint up and running before beginning this article. 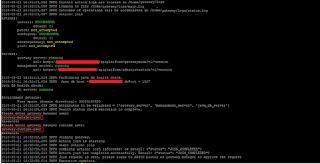 Service Account is an authentication feature provided by Oracle API CS. In other words, Service Account is a resource containing credentials. 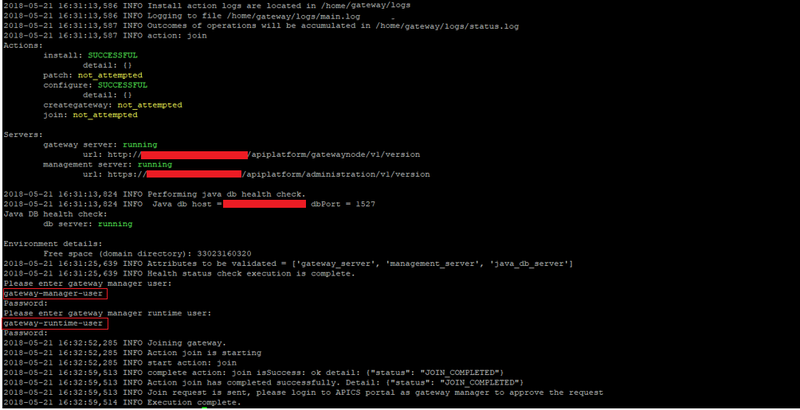 Service Account can be used when a back-end service require authentication (Basic or OAuth). Client ID: Enter the client ID.